No fewer than 88 Nigerians – including females -are currently in Saudi Arabian prisons for alleged drugs and psychotropic-related offences. In a document released by the Saudi Arabia Ministry of Foreign Affairs, Makkah Province Branch, dated June 28, 2018, obtained by The Guardian, showed that the inmates, are being detained in four prisons under Makkah region prisons alone. The document revealed 39 persons in Jeddah general prisons, 28 persons in Islahiyyah Jeddah prisons, 18 persons in Jeddah Female prisons and 3 persons in Taif prisons. Nigeria Consular-General to Saudi Arabia, Ambassador Mohammadu Sani Yunusa confirmed the statistics in the document. Yunusa who spoke to The Guardian in an exclusive interview said the consulate had formally received communication from the host government on the profile of Nigerians arrested and detained for drugs offences. Yunusa regretted that many desperate Nigerians still engaged in the act despite all signs and warnings against the devastating consequences of smuggling and dealing with hard drugs in Saudi Arabia. 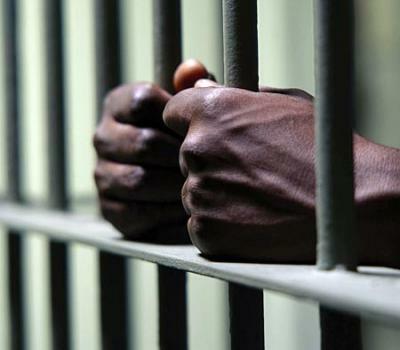 He revealed that the current figures were aside 16 Nigerians, including females, already convicted and sentenced to death under similar drugs and psychotropic offences last year. “Drug trafficking here in Saudi Arabia is a serious crime and when you are caught and found guilty of the provision of the laws, it is as good as death. The consular-general also lamented high rate of human trafficking of Nigerians, especially females, who are mostly lured into domestic slavery in Saudi Arabia. The consulate is said to have received series of emergency calls from Nigerians who were being molested and dehumanised by their Saudi Arabian paid masters. Meanwhile, the National Hajj Commission (NAHCO) has confirmed the death of two pilgrims in Saudi Arabia after successfully completing the hajj rites. One of them, a female pilgrim from Niger State who fell from a moving elevator in her hotel accommodation while another one from Kaduna State died after a brief illness at Saudi hospital.